Image quality has been one of the most important factors in choosing what TV to use in the right setting, In this article I will talk about the latest developments and how we should interpret this information. There are a lot of things now that come into play when deciding what TV you're going to watch for the next couple of years, before the newest hot model comes out. You take interest in the Smart TV features, you are intrigued by the large variety of ports and connectivity options available, and you marvel at how you can easily blend it with your living room furniture. However, all that aside, it always comes around full circle to the screen resolution. Alongside screen size, screen resolution has always been the most essential characteristic of a TV, or any type of display for that matter. It's because the resolution determines how clear and intricate the picture is reproduced, how easy it is to view things on the screen from further away or closer, and generally how good the viewing experience is. When you're out shopping for a new TV, you must understand the difference between the various types of technologies made available to you. This way, you will be able to properly assess whether or not a TV is a good buy, based on traits vs. pricing. There are multiple types of resolutions for TVs that are currently available on the market and we're going to take a look at them. Once you know a bit more about these different screen resolutions you'll encounter often while shopping, you'll have a much easier time making a decision. Not only that but you will also know which one is better and why, so the broad selection of Samsung displays or the occasional VIZIO or Sony screen won't confuse you. This is the first step resolution takes in ascending past mediocre or poor quality. Universally, a TV must have a resolution of at least 720p in order to be considered HD. The 720p label means that it typically has a resolution of 1280 x 720, but just calling it a 720p display is a lot more convenient. While this is the entry point of HD resolution, it's important to note that it's pretty much at the end of the line. There was a time when having a 720p display was a big deal but today that kind of resolution is actually considered pretty low. Not that it's not capable of displaying a god quality picture, but in comparison to the other options available, it lacks severely and just can't compete. It's pure math at the end of the day and 720p is less than 1080p or 2160p. 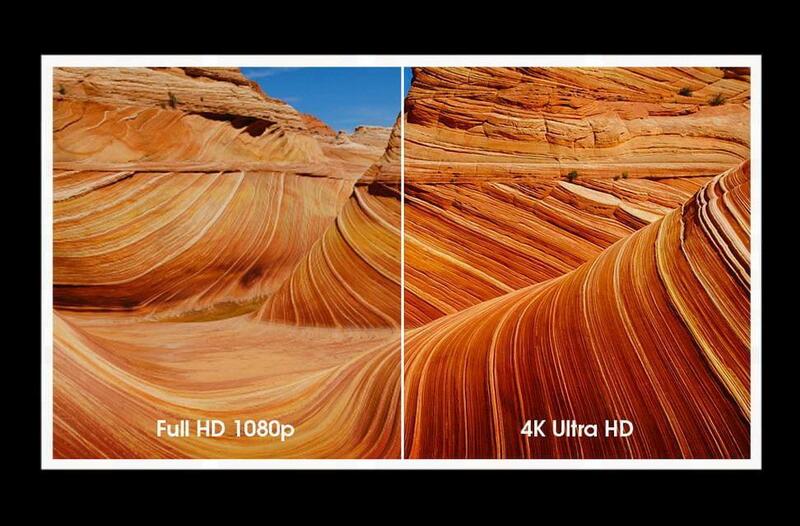 When it comes to HD resolution, this is what you want to go for unless you're planning to get a 4K TV, which we'll talk about in a moment. In order for a display to be categorized as being Full HD, it needs to have a resolution of at least 1080p. The aforementioned 1080p is currently the standard in terms of quality, although 4K is coming hot from behind and it won't be long before it becomes the new default, go-to resolution for TVs of all sizes. In the meanwhile 1080p displays are what you're after if you want a true HD image quality. The difference in quality is a major bump up from 720p, and they're common enough that you can find them really cheap now. If you want a better idea of what kind of displays you can find in this category, you can check out my website, techisignals. Read a complete review on the best 40" TVs: Click here. This is where the money's at for those consumers that are interested in owning the most advanced technology in terms of displays. TVs that come with Ultra HD or 4K resolution are considerably more expensive than the Full HD ones, but it's justified by the huge bump in quality. It's called a 4K TV because it has four times the resolution of a regular 1080p display. So the resolution for a 4K or Ultra HD display is usually 3840 x 2160. The thing about 4K resolution however is that the entire ecosystem of devices and content that go together hasn't fully adapted to it. Consumers haven't fully embraced 4K because it's still pretty pricy, so manufacturers can't really pull the plug on 1080p and focus solely on 4K. In order to watch 4K content, you need a device that runs 4K content, as well as the 4K content itself. Just inserting your HD DVD of an old movie and playing it on the 4K TV doesn't magically make it improve in video quality. With that in mind, there is an upscaling feature on some Ultra HD or 4K devices that will convert the image to something close to 4K (but not quite 4K). But this isn't an universal feature and it's quite possible that the 4K TV you have your eyes on doesn't offer it. The difference between the "p" and the "I"
When talking resolutions, you will see TVs marked as having either a "p" or an "I" at the end. So far instance, a TV can have a 1080p resolution, or a 1080i resolution. Marketers and stores will try to sell you the latter as the former, but there's a huge difference between them. The letters stand for progressive and intercalated. A display will show images as a series of lines (720p displays have 720 lines, 1080p displays have 1080 lines, and so on). Progressive displays show all the lines at once, resulting in better quality, while intercalated displays show a mix between the lines of the current picture and the next one, resulting in lower quality. What you can draw from this is that as far as resolutions go, HDTVs or 1080p TVs are still more than viable. You might see 720p TVs around, but there's pretty much obsolete. The 4K TVs are the big guns at the moment, but owning one is highly dependent on whether or not you have a 4K setup to benefit from a 4K TV . Otherwise it's a poor investment since you won't harness its power properly. If you plan on upgrading your setup to 4K however, buying a 4K TV now could save you the hassle and cost later on. While you wouldn't benefit to the fullest, it wouldn't be a downgrade in quality or anything. Quite the opposite, if the model you choose has the upscaling feature.